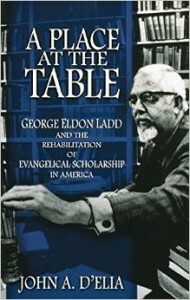 In 2008 Oxford University Press published John A. D’Elia‘s A Place at the Table: George Eldon Ladd and the Rehabilitation of Evangelical Scholarship in America. We (Luke & Kenny) enjoyed the book so much and found it so captivating that we’ve been discussing some sort of blog series for nearly six months. A Place at the Table is both biography and interpretation; you’ll learn about Ladd’s childhood, training, and life while also reading the author’s interpretation (or application!). Quite frankly, A Place at the Table is brilliant. For this new series we (Kenny & Luke) have invited a few of our fellow bloggers to chime in as we work through chapters and explore ideas, life lessons, and theological concepts from Ladd and A Place at the Table. 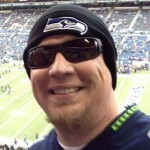 In this post we’ll start with a short bio on Ladd and explore the “Introduction.” We’ll identify each thought’s author by their name’s initials (LG = Luke Geraty, KB = Kenny Burchard, AB = Able Baker, RM = Rob McAlpine). George Eldon Ladd (1911-1982) was professor of New Testament exegesis and theology at Fuller Theological Seminary. Educated at Gordon College and Harvard University, Ladd was an ordained Baptist minister and is one of the most influential evangelical scholars of the 20th century. His most well known books are A Theology of the New Testament, The Presence of the Future, and The Blessed Hope, though he wrote many other books and articles. Ladd’s influence amongst Evangelicals is immeasurable. At one time his NT theology was considered the second most influential book (behind Calvin’s Institutes). Ladd is a giant for Evangelical NT scholarship and we believe his theological work to be extremely valuable for those interested in the New Testament, eschatology, hermeneutics, and a variety of other topics that we blog on here at ThinkTheology.org. Ladd is primarily known for his work on inaugurated eschatology, or more popularly known as the “already and not yet” kingdom theology. He has influenced scholars from a variety of theological perspectives, including Covenant theologians and Progressive Dispensationalists, and while Ladd wrote many scholarly books, he also wrote several books to help “lay” people better understand the topics he addressed (e.g., A Commentary on the Revelation of John and The Last Things: An Eschatology for Laymen). LG: Two things stand out to me when reading the introduction to A Place at the Table. First, Ladd’s life was controlled by his motivation(s). Ladd is said to have “spent the better part of his thirty-year career as a scholar attempting to rehabilitate what he perceived to be a weak and irrelevant evangelical movement in the United States, especially in its contribution to intellectual life” (p.xi). Fundamentalism, and its anti-intellectual approach to theological engagement, had rendered much of evangelicalism as voiceless. Ladd was deeply motivated to change that tide of opinion, a motivation which I both respect and value. I wonder if Ladd saw the vast “emptiness” of “respectable evangelical scholarship” as an opportunity. Did he start his academic career more positive or was he always in a negative frame of mind? I think we, living in the 21st century, underestimate the influence of Fundamentalism and Dispensationalism upon Evangelicals in the 20th century. What might be called a “stranglehold” was remarkably influential within the conservative Protestant circles known as Evangelicalism. To this, Ladd sought to open communication and engagement between the differing theological views. 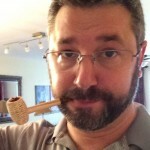 Why shouldn’t Dispensationalists interact with Covenantal theologians? Or why have post-tribbers and pre-tribbers not engaged in exegetical and hermeneutical discussion? Ladd believed that in order for Evangelicals to be taken seriously in the wider theological world (i.e., non-Evangelicals), they had to start by taking themselves seriously and improve their theological methodology and/or willingness to seriously engage with critical-biblical scholarship (i.e., avoid overly-simplistic solutions that lack convincing evidence or argumentation). As an aside, which we’ll draw out later, Ladd had other motivations that drove him in his academic work and quality of life too. For now I’ll simply state that Ladd was driven by a deep sense of insecurity and spent much of his later life seeking the approval of the “theological guild,” much to his own tragic demise… but more on that later. KB: I found John D’Elia’s introduction (especially the last five pages which he titles Excursus: Fundamentalism, Evangelicalism, and Dispensationalism), to be incredibly helpful when attempting to locate Ladd’s work in Ladd’s world. …conservative evangelicalism in America appears to be experiencing a rebirth of the militancy and anti-intellectualism that led to its marginalization and paralysis in the early twentieth century (p. xii). In response to these realities in his own day, Ladd approached the problem by attempting to rehabilitate evangelical scholarship. No small task! Unfortunately, we seem to have returned to a dynamic where biblical faith and biblical scholarship are seen by many believers as two incompatible pursuits, and where engagement in more rigorous scholarly work and more careful thinking about theological conclusions are thought to be the inevitable pathway to theological liberalism, heresy, and satanic deception. Evangelicalism…[includes]… any person or group that adheres to the following characteristics: biblicism, or the belief that the Bible is the unique, supernaturally inspired revelation of God; conversionism, or the belief that an individual must make a decision to follow the Christian faith; activism, or the emphasis on extending the influence of Christianity; and crucicentrism, the focus on the cross of Jesus (i.e., the doctrine of the atonement) as the central theme of Christian preaching and teaching (cf. p. xxii). From my perspective, much of contemporary evangelical preaching and popular writing has come to sound like a copy of a copy of bad copy of a great song on an old worn out cassette tape in a tape player with almost-dead batteries. …traditional formulas of orthodox Christian doctrinal positions, often from within established denominations (p. xxii). …the more militant and separatistic variety that attacked those who were perceived as threats to doctrinal orthodoxy. Fundamentalists operate out of a closed theological system with which they articulate their specific theological conclusions, and those who want to either question those conclusions or correct them are labeled as deceived, enemies of the faith, and heretics. Graduates of non-fundamentalist theological seminaries are most to be suspected of falling into this category. …overwhelmingly the most dominant and influential system of biblical interpretation among conservative Protestant churches and groups (p. xxiii). In many ways, present-day American evangelicalism is facing similar challenges, along with some additional ones related to the ways in which large swathes of American evangelicals tend to respond to the bag full of issues labeled “post-modernism.” Thus, our present generation will need another G.E. Ladd (or ten)! RM: A generation before Ladd — which helped shaped the milieu in which he wrote — saw the President of the American Association of University Professors, Joseph Denney, describe fundamentalism as “the most sinister force that has yet attacked freedom of teaching”. As an evangelical theologian and author, Ladd later chose to challenge that point of view by embracing both his evangelical convictions and serious scholarship worthy of any university. Now, nearly a century after Denney’s pejorative dismissal, we find ourselves in a very similar place: a common phrase-turning is to take “freedom of religion”, and re-word it as “freedom from religion”. At times, the 21st-century dice appear to be loaded — against Christian belief. Ladd’s example of not withdrawing into an evangelical subculture, surrounded by think-alikes, is an encouraging and challenging one. In our current day, as many Christians are advocating distance from the “evangelical” label, Ladd provides a further encouragement, as D’Elia reminds us: “Ladd chose to offer a detailed critique of Dispensationalism (the dominant theological system within conservative evangelicalism) from an almost equally conservative point of view.” (page xix) In some ways, it would be easier to critique from the outside, but Ladd provides an example that it is possible to critique from within. As we delve into this series on Ladd, we will need to keep a common definition of what “evangelical” means. D’Elia utilizes David Bebbington’s definition, and in order to make sense of the rest of the book, we will need to keep that definition in mind. AB: It seems many of Ladd’s evangelical contemporaries, especially Dispensationalists, saw him as (to borrow a Donatist term) a “Traitor”. Ladd was one of those Evangelicals who, in their eyes, was “giving in” to the liberal assault on truth. Perhaps to the “fighting fundies” he was handing over the scriptures to the enemy by even entertaining their sinful thoughts. Perhaps to the “fundonamentalists” even wanting to sit at a sinner’s table made Ladd a sinner. But as Augustine brought out in his battle with the Donatists, the church (visible) is composed of saints and sinners. I’m not capable of discerning who’s in and who’s out. But I am amazed at the complex mess of a life that produced and propagated such beautiful theology. It seems Ladd is a great example of the paradoxical beauty of Christ ambushing sinners’ hearts unto himself and then placing within their broken vessels a holy ambition. When I consider how Ladd’s work has indirectly rescued me from fundamentalism I am already amazed at the man behind the curtain. I look forward to reading the narrative of how (as LG has said) “Ladd’s life was controlled by his motivation(s)”. I’m of the opinion that the growth and product of any person’s work is inexorably linked to their motivation. Dogmatic theology is the church’s conversation about what the church is saying about God. Ladd’s theology should tell us as much about him as it does his view of God. If necessity is truly the mother of invention it seemed like the right time for Evangelicalism’s relationship with modernity to deliver a troublesome baby such as Ladd. After reading the introduction I look forward to the rest of the book. Feel free to engage us in the comments, as we’ll be engaging each other! 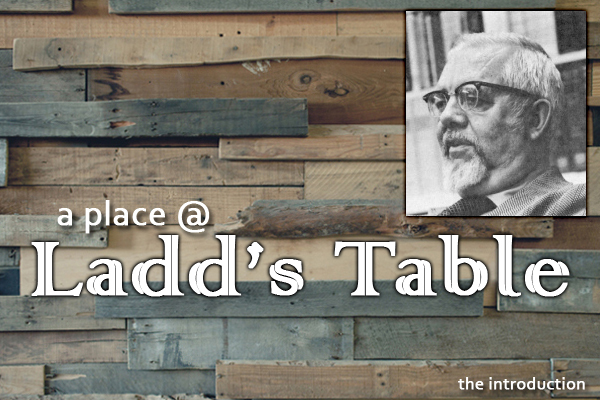 And pick up a copy of A Place at the Table as we continue to read through and interact at Ladd’s table! Soooooooooo, is it safe to say that the Evangelicalism of our grandfather is not the same type of Evangelicalism of today? I am not sure that I’m, as Robby has said, “within” Evangelicalism because I’m not sure if they include me (those Evangelicals can be tricky, after all). I used to use that term a lot but find it often more unhelpful than helpful… but I like the idea of providing constructive criticism from within because it generally is received better than from outside! I like how Able notes that Ladd was likely guilty by association. Why in the world would an Evangelical want to dialogue with a “liberal”????? Ha ha. I just had a thought for those who are in the Vineyard or familiar with Vineyard history and praxis: Ladd is the scholarly version of Lonnie. Lonnie is the non-scholarly version of Ladd. Both giants. Both huge contributors. Both deeply wounded. Both deeply tragic. And totally worthy of a future blog post. Thanks for posting this. I did not know of D’Elia’s book. This brings a flood of memories back from sitting in Ladd’s classes. My first impression of Ladd was walking into the Fuller refectory before my first class at Fuller. Ladd was sitting at a table with a couple of students, and in his booming voice (he did not have an indoor voice) he said, “I do not have a theology of prayer. The deepest most heart-felt prayers of my life have not been answered.” (Later I heard him say that he and his wife had prayed that God would give them children, but if they would not be normal, healthy children that they would not have children at all. Their son, apparently, had some sort of mental disorder that caused them great heartache through the years. I assume that is what he was referring to.) Anyway, when I walked into the refectory and heard that conversation, I was sure I had made a serious mistake as a pentecostal who believes in answered prayers. Later I came to understand and appreciate Ladd’s perspective on ‘the overlap of the ages’ and the tension (thlipsis) of living in both the present evil age and the age to come. I ultimately grasped how he could be so committed to the Gospel without adhering to what my tradition called the ‘full’ gospel. I look forward to your future insights on this and the potential of Ladd’s continuing influence for your generation of theologians and to reading D’elia’s book. Thanks so much. Hey Rich! Good to hear from you… I was thinking you might be interested in this series since you are a Fuller grad and you had Ladd. Thanks for sharing those personal memories… that makes this series so much more fun! Yeah… A Place at the Table places a lot of emphasis on Perrin’s review, which shredded Ladd’s “magnum opus.” Seems like that followed him for the rest of his life, which I will argue later in this series was connected to one of his significant motivations. I think you’ll love the book. It’s a quick read too… since it’s so captivating! Give Aunt Irene our love! I just high-jack the word Evangelical to mean something like: I’m a guy who thinks the person and work of are the hinges Scripture, life, & the church should swing on. Able, since a Liberal like you is using the word “Evangelical,” I must now use the word “Liberal” to describe myself. Ha ha ha! But seriously… I like the word too… in it’s original useage and original intention. I just can’t seem to find a lot of people these days who are aware of it! Are you familiar with McGrath’s six characteristics? What do you think about those? I love AM. I think his six general points are a great summary. Was Ladd’s wound from how he was treated by other theologians? Help me understand. It will be interesting to watch how this set of blogs go. I am old enough to have had the privilege of setting in Ladd courses at Fuller and talking to him on occasion. He could be somewhat overbearing. His exams “sucked.” And I complained to him privately about how he phrased things in them and he just smiled. One of my favorite learning experiences was in a NT exegesis course he taught in which he brought only his Greek NT and his roll sheet. From the latter, he would call on members of the course to read an assigned text in Greek and then parse all the words in the assigned text. You never knew which day he would call on you. On the second day of the course, he called on a student and gave him the assigned text. The student fumbled around for a few moments and finally said. “I’m sorry Dr. Ladd, I don’t know how to parse these Greek words.” To which Ladd responded by leaning over his podium and sticking out his boney index finger toward the young student and saying in his nasal rather high pitched voice, “You are right, you DON’T know any Greek! I looked at my course mate, Steve Robbins and said, “Steve, remind me to NEVER come to this course unprepared. Having said that, Ladd was warm and friendly and could often be seen standing and chatting with students, offering them his time when they were not in class. I’m looking forward to this series! I love learning about Christian history and the great leaders who influenced our modern church theology and practices. I look forward to that post. From what I know of Lonnie, he basically invented our modern concept of “power evangelism,” won thousands to Jesus, founded two charismatic denominations and was excommunicated by both. I don’t know anything about Ladd, so I’m curious as to how their life stories parallel. I’m with Luke on the present state of evangelicalism, and the usefulness of self-identifying as an evangelical. I think “evangelical” has become a term to describe a caricatured American voting bloc that is primarily affiliated with a political party, pro American nationalism (as a quasi religion), and with a social platform that is pro-Gun, pro-Life (unless we’re talking about killing our enemies with our guns), pro school prayer and ten commandments on buildings, and pro “America was founded as a Christian nation” mentality. From my perspective, it would take a lot more to “rehabilitate” evangelicalism in the present state of affairs than it did in Ladd’s generation. There are so many more things at play now. Let me pause to say I love the country where I live (served in the Military), I think democracy is the worst form of government around (with the exception of every other form there is out there) — which means that I think it’s the best fallen system we could come up with. But none of that is what evangelicalism was originally about. The co-opting of evangelicals by politicians has muddied the water so much that I’m not really sure how we get it clean again. I personally feel “homeless” when it comes to whether or not I wish to identify with the evangelical tribe. If we’re talking about Bebbington’s quad, I think there is room to heal, but if we’re adding all the other baggage, I FEEL like it’s a lost cause. 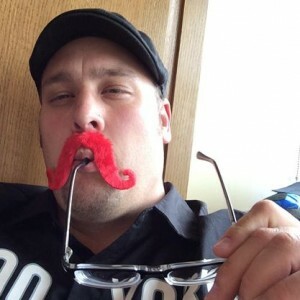 Thanks for joining in DrWinn – and for giving us a vignette of a moment in Ladd’s classroom. One of the things we really want to capture here is how rigorously he challenged himself and his students to be excellent students of theological disciplines and scholarship. We need more of this! Joel – welcome again! Have you read any Ladd? I personally suggest that you start with “Jesus and the Kingdom.” It will help you to see Ladd’s framework for Biblical theology, the message (and meaning of the message) of Jesus, and the message and work of the Church. Brian – as you’ll see when the next post rolls out, Ladd had TWO big sources of pain: (1) His sense of rejection and the abusive treatment from his father. That created some huge “daddy issues” within him which were a driving force in his theological work. In it, he sought affirmation. (2) When a colleague critiqued his work pretty ruthlessly, this poured salt in his wounds, and essentially convinced him for a season that he was not living up to the standards he had set for himself. He felt like a failure. People often use their incredible capacities (such as Ladd’s capacity for scholarship) to self-actualize and to feed their need to be loved and affirmed. This does not mean that Ladd wasn’t a great scholar. He was. But his motives were swimming in some pretty toxic soup. Other problems arose from this. Brian, as Kenny indicates, there are numerous “wounds,” “issues,” and areas of brokenness. Cutting to the chase: his identity was not as founded upon Christ as I would like think is more healthy for a confessional theologian. Joel, I’ll likely just tie the fact that though Lonnie and Ladd both had a lot of “open” brokenness and tragic ends, they were giants of the church… one in the academy and the other in the practical life of the chuch (this is not to suggest that Ladd’s work did not have significant practical application; he did!). It’s ironic… and equally sad. Except that not all evangelicals are Americans. In fact, most are not. For purposes of a wider discussion, we should avoid the Ameri-centrism that thinks all evangelicals are — or think exactly the same as — Americans. Thanks for the recommendation, Kenny! I’ll have to check that one out. I have not read any of his material, but I look forward to it. Just reading the very surface-y stuff on Ladd (Wikipedia), I can already begin to tell how much of an impact he had on modern charismatic theology. A proponent of Historic Pre-millenialism, which I hear from Wayne Grudem to Mike Bickle and Pat Robertson; a critic of dispensationalism, which is a very popular thing these days too. All in all, he seems like a very influential mind. This is a really interesting question. I guess I can see it going both ways. Insofar as some people seem to think of Evangelicalism as a “team” “competing” with other teams, then yeah, I guess I may not be “within” Evangelicalism – partly because I’m hesitant to “play for that team” in some respects, partly because it seems like so many of the people on that “team” would rather see people like me spend most of the game sitting on the bench. And I guess also because I don’t really like the “team” metaphor for Evangelicalism in the first place? That being said, without a doubt, Evangelicalism is “in my blood” and I’m part of the Evangelical “family” – it’s part of my heritage and my genetic code, in dozens of ways I could verbalize, and probably in hundreds of ways that I’ll never be able to verbalize. I see myself as Evangelical in my embrace of Vineyard theology, and I see myself as equally Evangelical in my rejection of the Darby-influenced dispensational Reformed theology of my Plymouth Brethren grandparents. And I see them as very much Evangelical, too, in their embrace of that theology. And while I reject certain aspects of the theology, I’m simultaneously eager to embrace much of what they’ve handed down to me – the way the people in their church love each other, their mindfulness of Christians in other parts of the world, the ethnic and national diversity of their PB church (they always have a handful of international students/families from Dallas Theological Seminary involved there), the value they place on kids and children’s ministries, etc. I even love that so many of the women in their church wear head-coverings, although I’d never, ever want to wear one myself. Bebbington’s quad (biblicism, conversionism, activism, crucicentrism) and McGrath’s characteristics (Scripture, Jesus, HS, conversion, evangelism, community) are helpful, but there’s a ton that seems “left out.” It would be like saying “the German language is characterized by its Indo-European roots, nouns that are inflected by three genders and four cases, and word order that usually places the verb in the second position.” Which is all true, but it’s not very interesting, compared to actually hearing people speak German, or compared to learning to read German poetry. 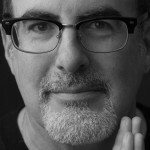 When I was at Notre Dame and had classmates or students who wanted to know what Evangelicalism was, it was usually more helpful to tell stories about the Evangelical communities I’ve been part of, vs. summarizing key theological points – or if I summarized key theological points, to use stories to illustrate why and how those things mattered. This is a great point. I think, too, that there’s growing recognition that “standard” descriptions of American Evangelicals have tended to prioritize white American Evangelicals. For example, the Pew Religious Landscape study put Protestants in “evangelical” “mainline” and “historically black” categories. As American Evangelicals are beginning to recognize the importance of racial reconciliation, and also as the American landscape shifts (thanks to immigration, and also second- and third-generation immigrants from non-Western countries having an increasingly prominent voice), a lot of Evangelical stereotypes seem like they’re breaking down pretty quickly. I find myself wondering, too, about whether there’s a prioritization of the experiences of those who have a higher level of theological education? For example, if I asked a dozen Evangelicals to tell me why the Bible is important, a pastor might say, “It’s unique, it’s God’s revelation to us, it’s supernaturally inspired” (Bebbington’s “biblicism”). But someone else might say, “It helps me find ways to talk with God when I’m struggling with something, or when I’m happy, or anytime – I’ve learned to see myself in the stories and prayers and songs, and when I read this book, God speaks to me.” Both are “Evangelical” answers. But is one “more Evangelical”? As I was reading/pondering this set of comments, I was reminded of Wimber’s comment about not trusting leaders who don’t walk with a limp (please correct me if I’m misquoting, I’ve only heard this second-hand). I’ve always found that anecdote compelling but unsettling. What does it mean to walk with a limp? On the other hand, though, I think of David telling Solomon how he had wanted to build the temple, but God told him he had fought in many wars, and that the temple would be built by his son instead (1 Chron. 22). Or I think of Moses and Aaron not being permitted to enter the Promised Land because of a moment of weakness in their leadership when they struck the rock instead of speaking to it. On one level perhaps these things were self-inflicted – but on another level, they were part of the process of learning to lead people, and wrestling with God in that learning process. Perhaps we could say that these leaders “walked with a limp” in some respect? I’d be curious to know, those of you who are reading this book and/or knew Ladd, how you process what happened toward the end of his life, and its connections to earlier parts of his life. It seems like the story being told in the comments thus far is mostly one of unhealed wounds being triggered/resurfacing and causing massive damage. (And to be clear, I’m not questioning that this is a very substantial part of what happened.) Yet was there also a sense in which it’s a story of someone who deeply longed for something (a robust evangelical “intellectual life”), spent a massive amount of effort trying to achieve that (and inflicted these costs on his family as well), and only after experiencing deep loss (critique of his scholarship by Perrin, Winnie’s death so soon after his retirement) realized that he had not only “failed”, but that his efforts had come at a greater cost to him and to the people he loved than he had previously realized? It’s an honest question; I didn’t know him and don’t know much about him, and I’m curious about your impressions. I suppose I ask this, in part, because I look at my own desire for robust evangelical scholarship (and enthusiasm for the areas where I already see such scholarship! ), and recognize that I stand on the shoulders of generations of evangelical scholars who came before me. I think of Mark Noll’s Scandal of the Evangelical Mind, and how he described it as a “letter from a wounded lover” to evangelicalism, and thinking about the grief and frustration that are visible at various points in that book. Surely there was some element of “self-seeking” in Ladd’s desire (isn’t there for all of us? ), but was there also a longing for a community of Evangelical scholars who would bring God glory through their scholarship? And a longing to reach into the halls of non-Evangelical academia with the message (evangelistic?) of the ways God has been at work within Evangelicalism, and to speak that truth in a way that non-Evangelicals could understand? Was his response to Perrin’s critique entirely a case of getting so wrapped up in his own reputation that he lost sight of what was important, or was there also a sense in which it would be sort of like a missionary spending his entire life trying to reach a remote people group, think they’d achieved it, and then realized they’d failed and they’d run out of resources to keep trying? – Again, these are honest questions, I don’t know as much about Ladd as I’d like, and I’m genuinely curious. Sorry to keep prodding at this, Luke; I’m genuinely curious, as this is the first I’ve read much of what happened with Ladd, and it raises a lot of questions for me. It’s entirely possible I’m projecting (haven’t read the book, didn’t know Ladd), simply based on my own experiences of Evangelical scholarship. There are many kinds of scholars, and many kinds of Evangelical scholars, and we negotiate that career/calling in all kinds of ways, so I don’t want to presume to know how Ladd negotiated it (or even to presume to know the environment in which he negotiated it – the world of Evangelical scholarship has undergone some massive shifts in a pretty short time period!). That being said, speaking for myself now, I find myself thinking about my identity as a scholar, and my identity as a child of God being transformed into the image of the Son. And those two things are bound so tightly near one another, because of the degree to which I have felt called to scholarship, and the ways God has formed me for this calling, and formed me within this calling. I can’t even count the number of times God has brought me profound comfort and joy and hope as I’m reading academic theology. There have been many times that I’ve found peace and resolution in something I was struggling with in my personal life via something that I learned as I was writing a term paper or preparing a conference paper. And it’s how I’m “wired” – I often glimpse Christ in an academic paper I’m writing weeks or even months before I’ve learned how to summarize that “glimpse” in a way that I could share with my husband (aside from asking him to read the paper). It’s how I process the world; in everyday life I usually feel like I’m stammering and stuttering and struggling for words, but when I write academic theology fluency begins to become possible again. Some days scholarship is the only way I know how to pray. Many days it’s the only way I know how to worship, or how to bear witness to God’s love and its transforming work in my life and the lives of those around me. So I’m honestly not sure what would happen if I spent years and years of my life working toward what I thought would be the capstone of my calling as a scholar, only to see it torn apart. I imagine it could be genuinely traumatic, depending on the circumstances. Greetings from London! I saw this blog for the first time today–it probably makes me far happier than it should to know that a few more people are reading my book! I’d like to listen in, if that’s OK with you. Ladd was a part of my life for more than a decade while I worked on my dissertation, then edited it for publication. I look forward to hearing what you think of him…and his story. Dr. D’Elia – (or should way call you Pastor John?)!! What a joy to have you join our little cohort and peek in. We have all enjoyed reading your work, talking about it on personal and theological levels, and re-connecting to our own passion for biblical scholarship in addition to much of Ladd’s work. Since you’re here, what would you hope we could all gain from just what you wrote in the introduction, and would you be willing to add some “discussion questions” for us as we approach chapter one together? That could add a HUGE amount to what we gain from the collaboration. As you see here, our heart is to have a very dialogical experience with this.